Hey everyone! I've got a really super product to tell you all about. Would you like to hear some more information on this product? Well please read on then. I will try to give you some information on this product. It is called éclos Skin Care. I found out that eclos features Apple Stem Cells. And these are extracted from the rare Swiss Apple. This has shown to have tremendous ability to stimulate skin cells. This will encourage aging skin to be a lot younger! Doesn't this sound very interesting? I have some more information about this also. Would you like to hear some more? Well then please read on! I also learned that plant extracts, vitamins and minerals and antioxidants combined with the Apple Stem cell technology will help to reduce fine lines, wrinkles and tired skin. That sounds great! Don't you think? I would really be excited to try these products. eclos Skin Care seems really different from other anti-aging products. I like how they are using Apple Stem Cells - that sounds so cool! They are also different because similar products were only available at specialty department stores. And of course that usually meant a high price tag too. But now eclos is bringing you this active ingredient at a fraction of the price. They are the first brand to bring it to mainstream stores. So now beautiful and younger skin is available to all women! Yea! You can buy a skin care kit. 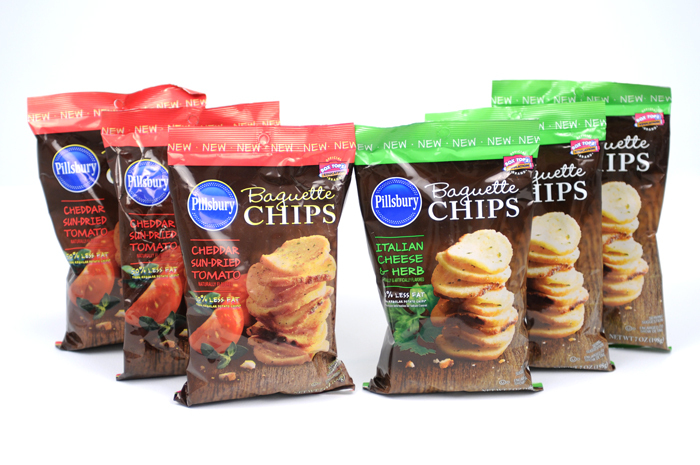 I would really like to try all of these. Here is what is included in a kit. First is the Facial Cleanser Skin Prep. I think this sound awesome! Also included are these products: Cellular Activator Face Serum, Moisture Therapy Regenerative Cream, Restorative Eye Cream, Instant Radiance Facial Scrub, Skin Renewal Clay Mask, and an eclos Terry Cloth Head Band. I would really love to try these products. I would love to rejuvenate my skin and to decrease some fine lines! If you would like to try them too visit their website to find out how! There was a beauty parlor in Westbury, ten minutes away, that was coming up for sale. The owner was moving to Florida and wanted to sell before the end of the year. If they got a second mortgage on their house, they could get the cash to make a quick offer and get the place cheap. But they had to move fast, and Nathan didn’t like to move fast. He chewed everything over and over, the way he did his meat. Someone else was going to buy that place in Westbury soon if they didn’t make a move. “That man gives me the creeps,” Lillian said, putting the emery board down and taking a cotton swab of astringent and beginning to dry the surface of the nails. Guest Blog: How has your personal experience as a Jewish American influenced the book? My experience growing up as a first-generation Polish American Jew in New York was the genesis of this book. I wanted to capture the emotional and psychological effects of the clash of the immigrant Jewish culture with the adopted American one. I was not interested so much in telling my story personally – this book is not an autobiographical novel – but the story of all immigrant cultures, Italian, Irish, African-American, Vietnamese, as well as Jewish. My father came to New York from a shtetl village in Poland in 1922 not knowing a word of English and became a lawyer; I grew up playing stickball on the streets of Queens and became a writer; my son grew up in Los Angeles, went to Yale and became a humanitarian worker who at the moment is in Kyrgyzstan. This evolution, over merely three generations, fascinates me. Our life experiences have been so different, and yet there is an identity linking us together. I wanted to set this story against the enormous social changes that took place in the second half of the twentieth century: the cultural rift created by the Vietnam War, the rise of feminism, gay identity, the pervasive influence of music. And to show how my characters navigated these changes. I created the fictitious family, the Perls, and decided to tell the story through the shifting point of view of five siblings, all, like me, born in the 1940’s. I chose the two iconic dates of this period – November 22, 1963 and September 11, 2001 – as a parenthesis to enclose the era. I was interested in the evolution of the family through all these changes – how it adapts to the most dramatic and sweeping changes and still survives as the emotional focus of our lives. I disagree with Tolstoy: all happy families are not alike. I received a cool product to review. It is a a black men's t-shirt with the design called "AR-15 Vertical Fashion." This company really has awesome gun t-shirts! My husband really likes this t-shirt. It came just in time for Father's Day. And he wore it that day. He is a gun enthusiast - so he really loves this t-shirt. Here's a picture of him (we went fishing on Father's day). He also wore it to work the other day. And they wanted to know where he got it. So this t-shirt really makes in impression. So if you like to celebrate the 2nd amendment - check out this t-shirt for yourself! Hello readers! Do you have a damp basement. Or even a crawl space under your home. Well if you do then you will want to hear about what I have found out. I learned that basements and crawl spaces are some of the most problematic in a house. These areas have a lot of moisture and no ventilation. This can then lead to a breeding ground for all kinds of things. Such as mold, and dust mites. There can even be high level of gasses too such as radon, etc. ​Wave Ventilation will ventilate and dry out the home. I wish I had known about this when I lived in my last house. We had an awful moisture problem in our basement. We had some mold in the house too, and who knows what kind of gases. We tried dehumidifiers - two broke. And it was tedious emptying it all the time. And didn't seem to help much anyway. ​The Wave Solution attacks the problem at the source. It starts at the lowest level of your home. It draws damp, polluted air from your basement or crawl space and expels it outside. Then warmer drier air is taken from upstairs and is drawn down through a vent. This creates a healthy air exchange. This sounds awesome. And I think really beats competitors. Not only is it beneficial to your overall air quality, it also only costs pennies a day to run. It's maintenance free, and satisfaction is guaranteed. So I really encourage you to check this out for yourselves! Hey vacation lovers! Do you guys want the chance to win a fabulous vacation? Well now you can! Check out this information, please! Do you love, love, love Florida, like I do? What do you love about it the most? Well, I know one of the things I love about it is the weather! And Summer is a great time to go to Florida. In fact, my husband and I went there on our honeymoon. And it was during Summer. And it was awesome! Well I just found out about a great giveaway going on. It is called Florida’s Three for Free Giveaway - Would you like to learn more about this? Well please read on! 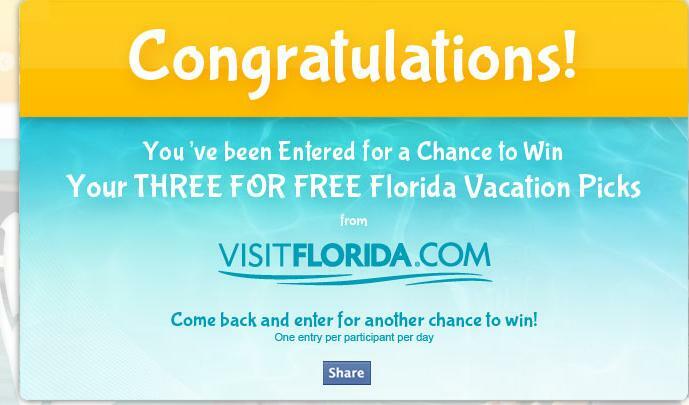 This summer, VISIT FLORIDA is giving away 12 vacations, including three vacations to one winner. One grand-prize winner will win all three of their dream vacations. Nine other winners will win one vacation each. Participants will pick from 12 different vacation packages. You pick three different ones you might like and then you are entered to win! The 12 different packages include these: Swim With the Manatees, Tennis lover gourmet getaway, Natural Florida, Family Adventure, Space Cowboy, Trainer for the Day, The Breakers Luxury Dream Vacation, Ultimate Spa-cation, Tee Time for two, Classic Family Beach week, Step into the Past, and Florida Keys Fishing. The second vacation I would like is Breakers Luxury Dream Vacation. When I saw the picture of the hotel - I was sold! Sponsored by The Breakers Palm Beach. And the third one is the Classic Family Beach Week. I know the kids would love that. It is sponsored by Trade Winds Island Resorts. A few weeks ago, we went strawberry picking. We have never done that before. It was a lot of fun. Next blueberry picking! Hey guys. Are you planning any roadtrips this Summer? Then you really should check out pa-roadtrips. This looks like a very cool site. I was just checking it out. And I would like to encourage you all to go check it out for yourself also. With the Roadtrip-a-Matic you can get dozens of ready-to-ride roadtrips! I know that I would like to go on a road-trip with my family sometime soon. I would love someday to do this with my husband. And I think the kids are old enough now to handle a long road trip. So I think the timing is really just right for this. I was browsing the trip selection, and they all seem very interesting. And the Roadtrip-a-Matic also takes out some of the biggest headaches when planning a road trip. Such as where to stay, what sights/attractions to see, and where to eat! This really sounds great! One trip that I was checking out, in particular, looks like it would be really cool. It is one of the the Civil War Road trips. I know that my husband, especially would really love this! There was a lot of different ones to pick from. Just out of curiosity I picked the Woman and the War one to see what it was. This looks like a really cool roadtrip. It als showed me where I could stay, like the Radisson in Pittsburg. And eat at Bigelow Grill. This looks like so much fun! I'm going to look into this some more! You should too. This is a great sweepstakes, and it is from dollargeneral.com. The sweepstakes is running between May 20 through June 24, 2012. You can enter the It Pays to Vacation at Home sweepstakes at dollargeneral.com, and have a chance to win one of 20 Grand Prizes or 100 First Prizes. The Grand Prize winners will get $500 to vacation at home. And the First Prize winners will win a $25 Dollar General Gift Card. I also want to let you know about the "Wipe to Win" instant game. In this game you can see if you are an instant winner. You can win a $10 Dollar General Gift Card. All you have to do is register at dollargeneral.com. This sweepstakes is sponsored by The Clorox Company. I just played and it was really easy to enter. I tried the instant game. Unfortunately I didn't win as you can see. It said I didn't win the instant game, but I am still entered to win the Grand or First Prize. So that is so cool! I would love to win this. And it said I can play the instant game again tomorrow. I would love to win even a 10 GC to Dollar General. Then I could buy some of my favorite Clorox products. You can find lots of Clorox products at Dollar General. Such as Pine-Sol® Multi-Surface cleaners, Clorox® Disinfecting Wipes, and Clorox® Liquid Bleach. I especially love the the Pine-Sol® products. ​I really love to wash my floors with it! 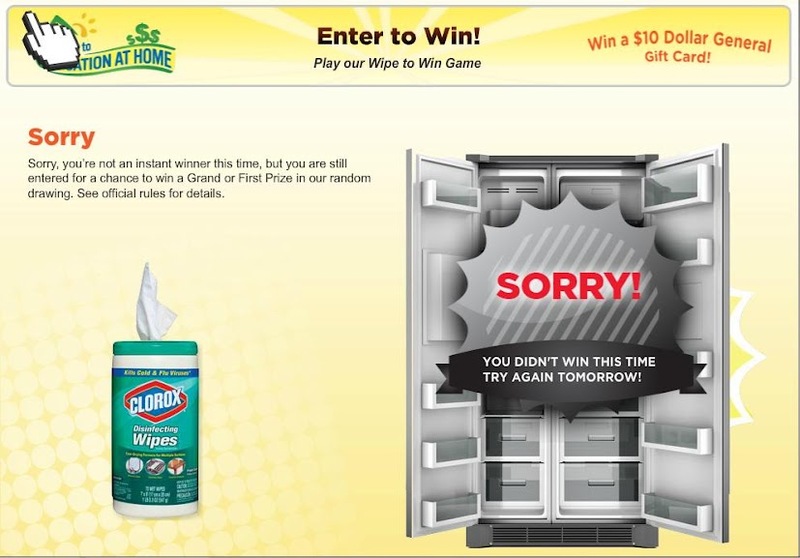 So head on over to dollargeneral.com to enter this sweepstakes and then go get some of these great Clorox® products!